We recently looked at 3 can't-miss sleepers for PPR fantasy drafts and will continue to roll with this theme, as we approach fantasy football drafts over the next couple weeks. Now, we'll look into 3 players to draft in the middle to late rounds who can provide a week-to-week floor in PPR formats. Two players will enter the season as the top wide receiving options on their respective teams and then there's a tight end who, after posting a stellar 2016 season, seems to have been overlooked thus far. Data is taken from recent 12-team ADP data. 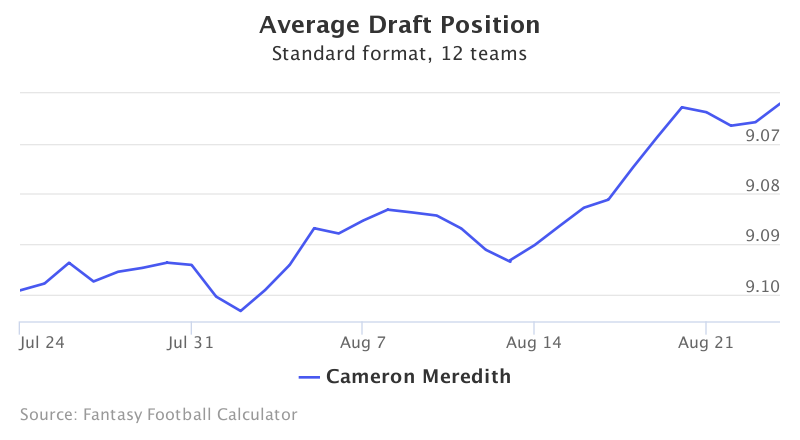 Cameron Meredith finds himself as the starting wide receiver on the Bears' offense, and is currently being drafted as the 40th wide receiver in PPR leagues. Starting number one wide receivers are hard to come by this late in drafts. 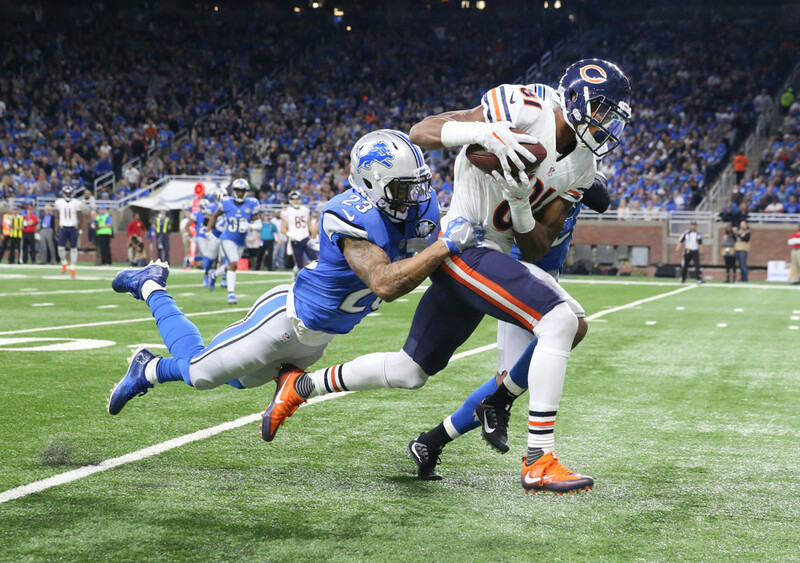 With Alshon Jeffery departing the windy city, his 22.5% target share he achieved last year is up for the taking, and wide receivers Victor Cruz and Kendall Wright show no imminent threat to Meredith. While Kevin White should return from injury this year, he has not proven to be durable enough this far in his career to pose any real threat to Meredith's target share. Huge dividends were paid to those who stuck with Meredith during the fantasy football playoffs in 2016 from Weeks 14-16, he finished as the 2nd highest scoring wide receiver, averaging 22.4 points in PPR leagues. Kyle Rudolph is the tight end some are forgetting about entering the 2017 season, and currently provides sleeper value, as he is the 8th tight end being chosen in PPR drafts. Rudolph is only a year removed from finishing as the 2nd ranked tight end in fantasy points scored (209), 1st in targets per game (8.3), tied for second in touchdowns (7) and 4th in receiving yards (840). The addition of rookie running back Dalvin Cook will surely help Rudolph on routes coming out of play-action as defenses will now be respecting the run. 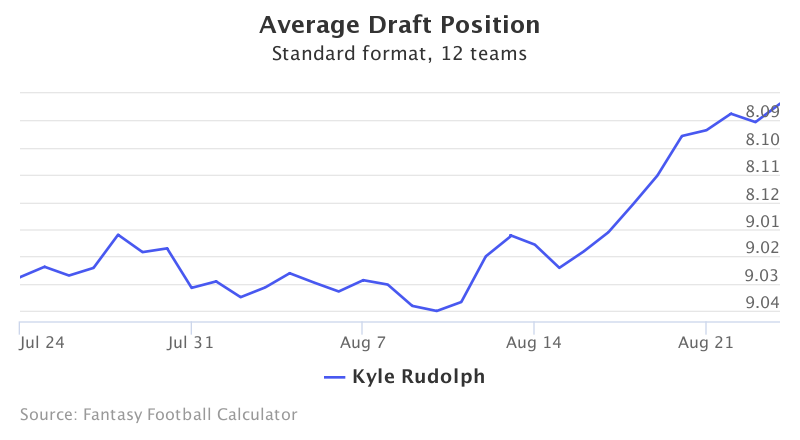 While there may be higher upside players at the position, Rudolph's 2016 year is hard to ignore, and he helps deliver a safe floor in PPR formats. 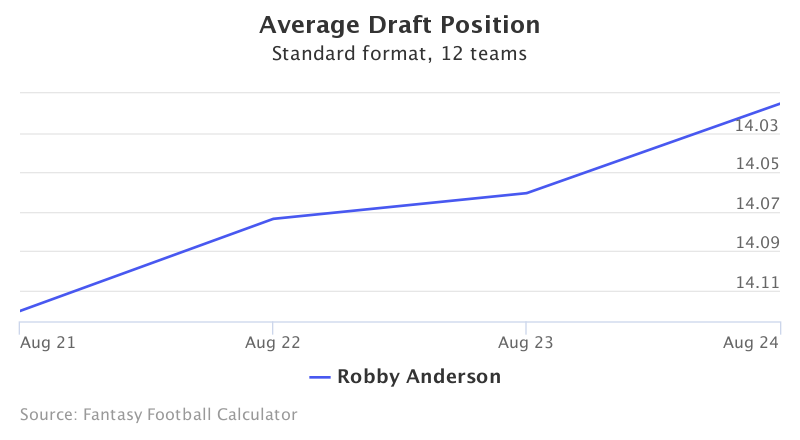 Robby Anderson may not win you your league this year, but with an ADP of 13.11, this may be one of the best values in the draft. Anderson is the number 1 receiver (albeit on a terrible team) and provides a late value option to owners as a bye week or injury replacement. Anderson has fallen into the leading wide receiving role entering the 2017 season: the highest targeted wide receiver from last year in Quincy Enunwa won't play a down this year due to injury and tight end Austin Seferian-Jenkins will being the season serving a two-game suspension; Anderson's main competition this year will be from running backs Bilal Powell and Matt Forte. The Jets' regular season win total, per Bovada, currently sits at 4.5. No one is expecting much of the Jets this season, which is favorable for Anderson, as they'll constantly be playing catch-up. Anderson may not start out the game with high point totals, but as the game goes on and garbage time begins, Anderson will surely rack up a lot of underneath catches and yards.